The marijuana market is poised to see the biggest investor bull rush of the 21st century, and gaining exposure to this burgeoning industry is one of the most important investment questions of our time. In the U.S. alone, the marijuana market is set to reach $25 billion by 2020 with recreational use being legal in a growing number of states. The Canadian recreational market is forecast to hit $8 billion. Federal legislation of cannabis throughout Canada is scheduled to be signed into law by the end of Summer 2018. Unsurprisingly, the legalization of this enormous market has already brought investors incredible returns – with the twelve largest companies seeing an average gain of 332 percent over the course of a year, July 2016 to July 2017. And as the recreational use of marijuana in Canada gains country-wide approval in the coming months, these stocks could be set for another big run. The biggest question facing investors in 2018 is how to identify those companies with the most exposure to these gains, and how to gain access to both Canadian and U.S. markets. With a market cap of $4.35 billion, Canopy Growth Corp. has taken off like a rocket, with a stock price that has tripled since July 2017. As the federal legalization of recreational cannabis in Canada approaches, this is undoubtedly one of the companies to watch. In February 2018, Canopy completed a CA$200 million (US$155.0 million) offering co-led byBank of Montreal, the first time a large Canadian bank offered equity financing for a cannabis company. As a result of this growth, Canopy Growth Corp. became the first Cannabis company to be added to the S&P/TSX Composite Index. With its reputation as ‘the biggest weed producer in the world’, investors may look to Canopy Growth as one of the safer names in the space. Last month the company announced it had 2.4 million square feet of licensed growing space, more than triple its total space last year. With that much space, it’s possible the company could grow 450-500,000 kilograms per year. While there will likely be companies seeing higher returns, there is undoubtedly value in having one of the Big Weed stocks in your portfolio in 2018. 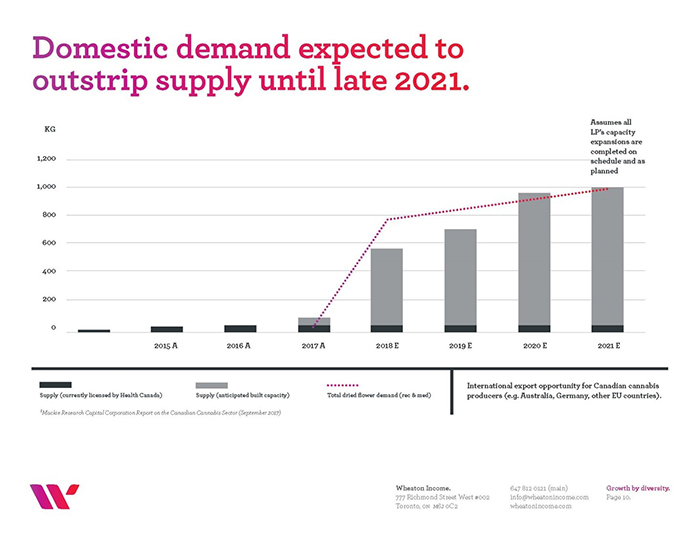 As long as demand continues to surge as it has been, Canopy Growth will be there to dominate supply. Investors can expect to see the growth trend here continue through the year and gain a further boost when Canada’s next big piece of cannabis legislation is signed. For investors interested in gaining exposure to the entire North American market, Cannabis Wheaton is a company unlike any other. This innovative company is doing what streaming and royalty companies have done for the mining industry and what Netflix has done for movies – Cannabis Wheaton is streaming pot. It’s also special for its vertical integration—it’s made investments in upstream, midstream and downstream sectors of the cannabis industry, a model that traditional resource sector investors are very accustomed to. As demand soars and companies attempt to get in on the biggest bull run of cannabis products, Cannabis Wheaton is providing a route to the full spectrum of the industry for new and existing partners. It is a streaming-based business that is entirely new to a market that is forecast to explode in demand. This business model removes the risks associated with betting on a single producer, instead giving you access to a much larger portion of the industry. And the team putting those deals together is made up of some of the biggest names in the space. This one-of-a-kind company has already lined up 15 partners, with 17 facilities—for 2.0 million effective square feet of growing acreage. In return, they get minority equity interests and a portion of the pot produced. As recreational use is legalized across Canada in 2018, Cannabis Wheaton will be a significant catalyst in a space that is already struggling to keep up with soaring demand. And on top of all of that, Cannabis Wheaton already has 39 clinic relationships, and it is growing fast, with access to over 30,000 registered medical marijuana patients. With its streaming partners in place, Cannabis Wheaton partners are getting set to ramp up production to meet expected runaway demand once legalization goes through. The company anticipates a seller’s market for pot until 2021— where demand will outstrip supply for the next three years at least. To boost production, Cannabis Wheaton has made a raft of new investments. It acquired Dosecann Inc., a licensed dealer with a 42,000 square foot facility on Prince Edward Island. Last year, it bought out RockGarden, another licensed producer. More recently, it purchased Robinson’s Cannabis Inc., a company planning to produce recreational cannabis that is close to completing a 27,000 square foot cultivation facility in Nova Scotia. With these new assets and what are expected to be low production costs, Cannabis Wheaton expects revenue to dramatically increase once the bulk of their projects come online in 2019. This one-of-a-kind company is providing a win-win situation for partners, and they offer investors lower risk and diversified exposure to the hottest market in 2018. Traditional licensed cannabis producers are likely to benefit during the boom, but Cannabis Wheaton’s innovative business strategy should give investors an edge in this space. This is a business and model to watch very closely. The medical marijuana industry is booming, and the one sector that you can be sure will cash in on this craze is big pharma. But for investors this will all be a question of timing. 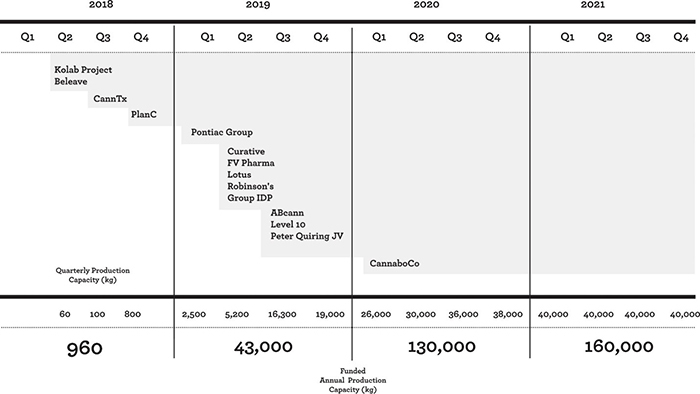 Currently, the giants of the pharma space are biding their time, waiting for the ambitious small caps to get through the cash intensive development and trial stages before swooping in to buy them up. Sanofi is a French-based giant, with a current market cap of over $109 billion. Even though the company beat its Q1 earnings estimates, its stock has been falling for the last six months. This gives investors an opportunity to buy in before the pharma giant gets into the cannabis game. Sanofi is already working with cannabinoids, marketing Rimonabant – a drug designed to control appetite. You can be sure that it is already scouring the market for a late stage medical marijuana company. 2018 is going to be the year that big pharma makes its move, as recreational marijuana sends the medical space into overdrive and the late stage developments become ripe for a buyout. These giants won’t be competing with medical marijuana companies, they will own them. So investors can afford to avoid the risk of backing medical marijuana companies and instead just wait on big pharma to reap all of the rewards. Sanofi represents the perfect target: its depressed price is sure to rebound, offering investors the chance to buy low and sell high further down the line. Given the momentum behind the market in Canada and the major legislative breakthroughs cannabis has achieved this year, you can be sure that big pharma is likely to make its move soon. Pfizer is another big pharma pick and boasts some sizzling dividends for investors as well as a very solid growth picture over the past five years. Its two segments, innovative health and essential health, generated $52.8 billion in revenue last year, with net income of $7.2 billion. But like Sanofi, Pfizer is a bit depressed at the moment. It released a disappointing earnings report on May 1 and its stock tumbled as a result. In 2018, Pfizer expects its best-selling drugs to continue to grow. That’s good news for a company that began to lose revenue after it lost patent protection on the hugely popular drug Lipitor in 2011. New drugs like Eliquis and Xeljanz will began contributing to the company’s coffers in 2018. While its legacy products may be experiencing declining sales, its new products are very promising, driving its impressive growth in 2017. It is in this new product segment that we will be seeing cannabis breakthroughs and with a market cap of over $215 billion, Pfizer has the influence to bring in winning deals. Pfizer has also been searching for an MA opportunity that will bring new products under its umbrellas—and the timing could be perfect for it to acquire a cannabis firm. 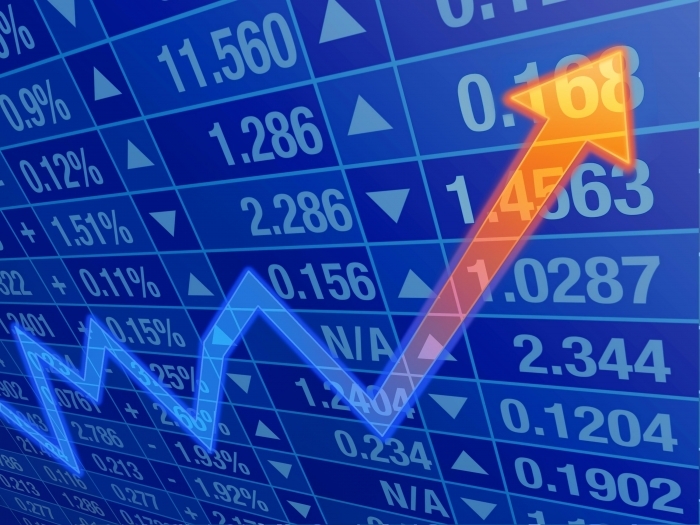 Adding to the upside for investors, Pfizer is currently developing two new cancer drugs and an autoimmune disease drug that could be game changing for the sector, and this giants stock price. Despite the recent dip, analysts have rated it a definite buy this year. This pharma company is usually a strong contender, but with the potential upside of the looming cannabis boom it is looking even better for investors. Scotts Miracle-Gro is a ‘pick and shovel’ company for the marijuana industry and is yet another way investors can look to play the boom. This is a company which has seen some hard times this year—the price tumbled more than 20 percent in a single day, falling from $107 to $82/share in the space of a few months. Despite this drop, the company has emerged in a stronger position and is uniquely positioned to take advantage of the cannabis boom—in fact, it might have more exposure to cannabis than any other major firm. SMG is paying $450 million for Sunlight Supply, a major producer of hydroponics which are crucial for cannabis cultivation. After the merger, SMG expects to earn $600 million from its gardening unit, more than twice what the unit posted last year. SMG is also looking to get leaner and meaner—it plans to cut back on labor costs and save $35 million from hydroponics, making more from less each year. Last year, hydroponics contributed about 10 percent of SMG’s total sales, but in 2018 the company expects the division to grow to more than 20 percent of total sales. 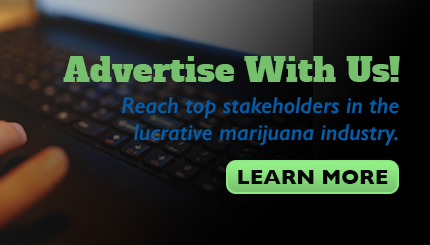 What SMG offers, then, is a way to gain unique exposure to the marijuana industry, without going all out for direct pot stocks. Aurora is a major player in Canada’s cannabis scene. With a $1-billion market cap and solid growth, savvy investors are watching this stock like hawks. Emerald Health Therapeutics Inc (TSXV:EMH) is another producer and distributer of medical marijuana. Based in British Columbia, Emerald Health is fully licensed by Access to Cannabis for Medical Purposes Regulations (ACMPR) and provides high quality medicine of different varieties. The company’s approach to research is what really sets the company apart from the competition. With the incredible emphasis placed on isolating the most important qualities in each strain and creating new products for patients, it is no wonder their medicine is so popular. Additionally, Emerald Health has an incredibly talented administration. With over 30 years in the life sciences field, CEO Dr. Bin Huang is leading the company to greatness. Because the company focuses on quality, both in their leadership positions and in their products, investors can feel comfortable taking the leap into this budding enterprise. Hydropothecary Corp (TSXV:THCX) is a another heavy hitter in Canada’s cannabis scene. With former BC Health Minister Dr. Terry Lake as the VP of Corporate Social Responsibility, and the well-versed Ed Chaplin, who has raised millions for his previous ventures, as the Chief Financial Officer, the company is sure to have a bright future ahead. With 4 primary products, including Canada’s only peppermint flavored medical cannabis oil sublingual mist, Hydropothecary has chosen quality over quantity. Offering patients the ability to administer their medication in a smoke-free format provides users with an option that is not available just anywhere. Keep an eye on this stock moving forward as it may just have what it takes to take the industry by storm come June 2018. OrganiGram Holdings. (TSXV:OGI): Organigram Inc. is a licensed medical marijuana producer in Canada, while it managed to maintain its production license this year, the company saw its stock price fall somewhat Year-To-Date, but we see strong upside for this stock as the changing Canadian cannabis legislation could give a massive boost to the market. OrganiGram Holdings is a customer-first organization with a wide variety of products from which patients can choose. The company specializes in both organic and minerally grown cannabis, and is sure to satisfy the customers’ needs. Moving forward, OrganiGram’s trajectory is sure to send the company far within the marijuana world. Poised to take a noticeable chunk of the pot market, OrganiGram is equipped with solid leadership and an ambitious drive that investors are sure to follow closely.